I opened my e-mail account one lovely day to find a inquiry form from a photographer in Arizona, Erica of Cora Kingston Photography. You know that as a photographer one of the biggest compliments you can get is when a fellow photographer wants you to capture a part of their life. After much e-mails back and forth it turned out that Erica would be 3 minutes up the road from me and I'd have the joy and privilege of photographing her beautiful family. 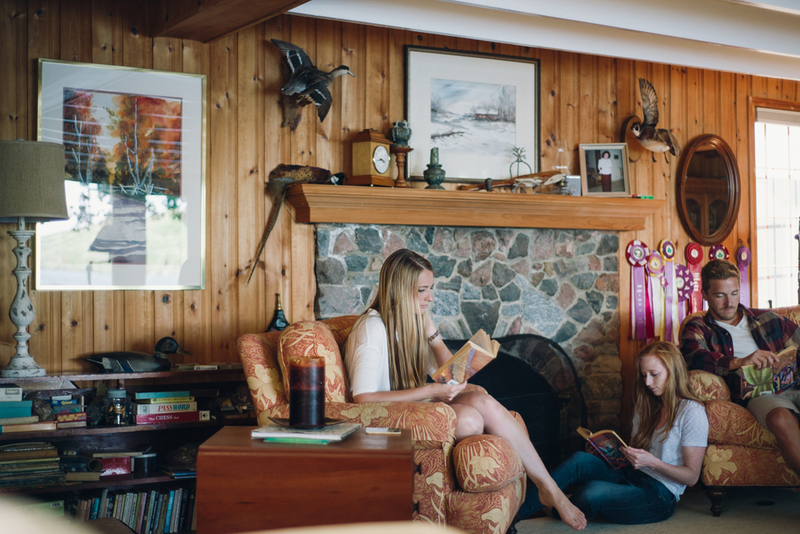 Their beautiful family cottage is named after Erica's grandparents and every year her and her family spend their summers here in Canada. Capturing her beautiful family was easy peasy since they're all just so photogenic. I hope you enjoy these lovely photos.